To Order 25mm Filters, click here. To Order 25.5mm Filters, click here. To Order 30mm Filters, click here. To Order 37mm Filters, click here. To Order 48mm Filters, click here. To Order 52mm Filters, click here. 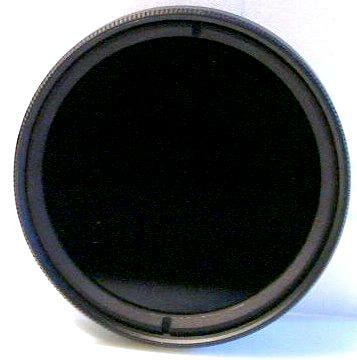 To Order 58mm Filters, click here. To Order 67mm Filters, click here. To Order 72mm Filters, click here. To Order 77mm Filters, click here. To Order 82mm Filters, click here. To Order Cokin Filters, click here. Do you need another size? We manufacture our own filters with custom made precision ISO2002 German glass. X-Nite Infrared filters block all visible light letting only infrared light pass. Cutoff is 630nm, 665nm, 715nm, 780nm, 830nm, 850nm and 1000nm. These filters are for use on cameras that are infrared sensitive. 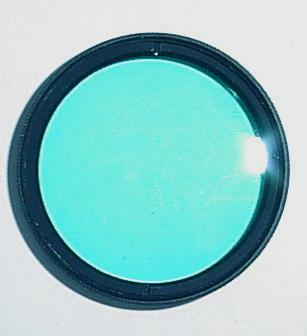 Filters are constructed of optical precision ground and polished glass. They appear completely black to the human eye. If you hold the 830nm and 850nm filter up to a bright light, you will see the light filament faintly. If you hold the 1000nm filter to a bright light, the filter will appear completely opaque. For a comparison of different filters, click Here. For example shots, click Here. The X-Nite filters are great for viewing under complete darkness if you have an infrared illuminator. Blocking visible light enables you to achieve correct focus since infrared light and visible light have different focusing characteristics. The X-Nite filters have many industrial and factory inspection uses. Many manufactures use an infrared filter to see through objects that are not visible to the naked eye, for water detection and low light detection. Water absorbs specific wavelengths as do other fluids. By using an infrared filter, you can create an automated system to detect if a container has been filled. By using an infrared filter, you may be able to see through labels to detect fluid or the presence of a foreign object. The X-Nite filters can be used for many covert security and surveillance applications. Using an X-Nite filter in conjunction with an infrared light source and infrared sensitive camera, you can see in complete darkness. The X-Nite filters can be used by hunters searching for game at night. Not only does the filter let the hunter remain inconspicuous, but the animal tends to reduce motion as the infrared light provides slight warmth. The X-Nite filters can be used in baby monitoring applications. Using an infrared light source, the parent can view the child in complete darkness without having to turn on a light and disturb child. The X-Nite filters are also useful for infrared photography. Infrared camera film is not only extremely high speed, but also pictures often look quite different when viewed in the infrared range. You may be able to see through clouds, detect forged documents, see normally invisible images, crime scene analysis, Kirlian (Kirlian) photography and create dramatic pictures. This filter can also be used to achieve an "X-Ray" effect. Briefly, the X-Ray effect was discovered in 1997 when Sony sold Nightshot (NiteShot) 0 Lux Handicams. Users found that if an infrared filter was added to the camera and the camera was operated in daylight, the camera could sometimes view through clothing. These filters are also sometimes called an Infrared Pass Filter, See Through Filter, X-Ray Filter or See Through Clothing Filter. This effect is most noticeable on dark synthetic fabrics. See some examples. 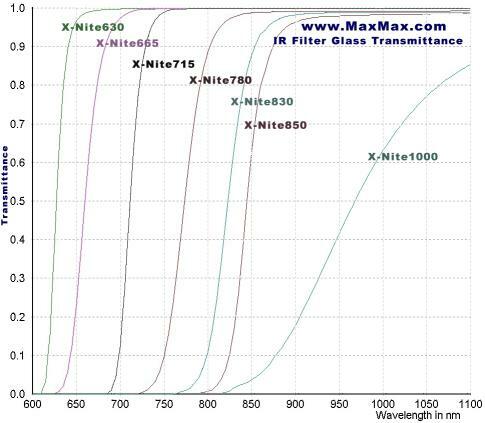 Our X-Nite filters are custom made using precision made ground and polished German glass. 1000nm, 37mm, 3mm, 2mm & 1mm Thick Sometimes you want to use a 1000nm for a particular effect, but the standard 3mm thick lens is too dark. That's were the 2mm & 1mm thick 1000nm comes in handy. You can use the 1000nm 2mm & 1mm thick lens on stock, factory camcorders in moderate light levels as opposed to the 3mm thick lens which requires brighter light for proper exposure. Instead of problems getting proper exposure, just add to your filter selection to widen your options. 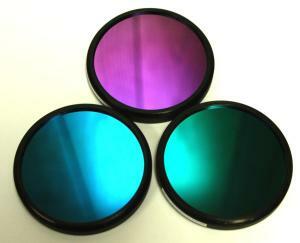 We have Ultraviolet Pass / Visible light blocking filters available. Learn more here. The X-NiteCC1 and X-NiteCC2 color correction filters are for use on cameras or camcorders that have had the internal IR blocking filter removed. For correct color balance, if you want to take normal (not infrared) pictures, you will need this filter. Our Infrared Enabled digital still cameras such as the Sony DSC-P51 and DSC-F707 do need this filter for taking regular photographs with correct color balance. The X-NiteCC1 filter is the opposite of our other IR filters; the X-NiteCC1 blocks infrared and lets visible light pass. 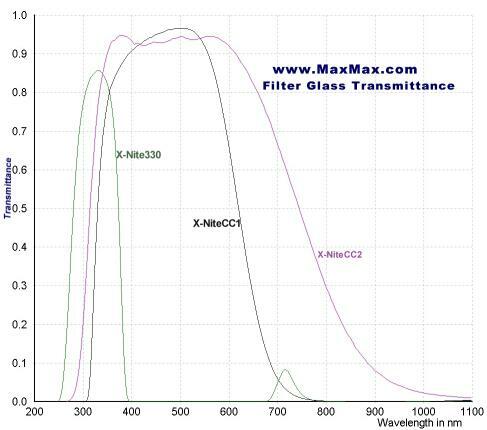 Our other X-Nite filters pass infrared and block visible light. For example pictures showing why you need this filter on cameras with the ICF or internal IR blocking filter removed, Click Here. Some newer digital cameras use an infrared blocking glass that lets more visible light through and some infrared light. Our X-NiteCC2 is designed for those types of cameras. The X-NiteCC2 lets more visible light pass to the image sensor which increases camera sensitivity over the X-NiteCC1. If your camera had an aqua colored ICF, you need the X-NiteCC1 for normal pictures. If your camera's ICF looks substantially clear, you need an X-NiteCC2 for normal pictures. Do not view the sun through the filter since invisible infrared passes easily through this filter and you will burn your retina even though glass looks black! Billing only occurs when item ordered actually ships. If you want to mail your order in, just use the on-line ordering system, but don't enter your credit card number. When the totals including shipping and handling are calculated, print off the form and mail in with your check/cash/money order. Checks can take 10 days to clear. Money orders and cash get shipped out immediately. The X-Nite filters are not returnable. All sales are final. Remember you need to experiment with filters in a variety of lighting conditions, subjects and materials to learn how to use them properly! Do you need another filter size and need a different type of filter? We take our customer's needs quite seriously. If you want a particular size or type of filter that we don't carry, please let us know. We will monitor your requests and use them to determine our future filter selection.